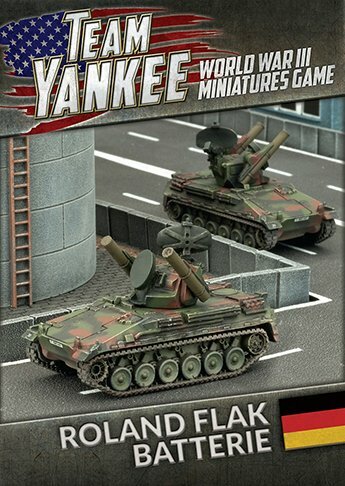 Includes two FlaRakPanzer Roland anti-aircraft missile vehicles & Unit Card. The Roland 2 Flugabwehrraketenpanzer (abbreviated toFlaRakPanzer, or Anti-aircraft Rocket Tank) is a sophisticated mobile short-range surface-to-air missile (SAM) system. The Roland anti-aircraft missile was a joint development between the French and Germans.